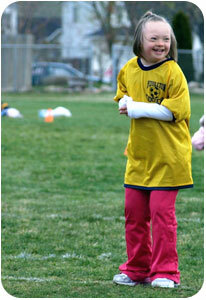 Down Syndrome | NACD | What is NACD? The National Association for Child Development, under the direction of founder Robert J. Doman Jr., has, over its twenty-nine years of existence and work with over 30,000 clients, developed a unique and effective view of and approach to enhancing the development and function of children and adults. Because the fields of education and health care have become more and more compartmentalized in recent years, and treatment approaches are driven more by symptom and label rather than by cause, their methods often fail to serve the uniqueness and totality of the individual. The profile of function and determination of treatment is based upon the gestalt of the client. The gestalt perspective involves perceiving the individual and his function as in integrated whole, more than a summation of his or her parts. Global areas of concern are identified, followed by a profile to determine the underlying neurological/developmental causes or inefficiencies producing the functional problem or problems. Intervention is based upon both the acceleration of typical neurological development and education as well as the remediation of abnormal developmental patterns. Recognition and utilization of neural plasticity. The basic structure of the intervention is dictated by an appreciation of neural plasticity and the need for organized specific input, which is provided with the necessary frequency, intensity, and duration required to produce progressive change. The traditional delivery system for therapeutic intervention involves direct interaction between the client and the therapist once or twice a week. This level of interaction is inconsistent with neurological need. In order to provide optimal input in terms of both frequency and sensitivity, it is necessary to utilize people who can provide significant daily interaction and people who know the client the best. This is most often accomplished by utilizing parents, other family members, and/or aides. Given the necessary training and support, these individuals can implement the vast majority of treatment plans. At NACD, lack of function or development is not perceived as a lack of potential. Each individual is evaluated and provided with opportunities based on a perception of unlimited potential. Understanding that the more specific the input is, the more targeted and effective the intervention will be, the effort is made to incorporate as many valid treatment techniques as possible, providing a truly eclectic model. Treatment techniques are incorporated, developed, modified, and discarded based upon their efficacy or lack thereof. The relationship between neurological and physiological function is synergistic. A comprehensive treatment approach must address both factors as part of the gestalt. 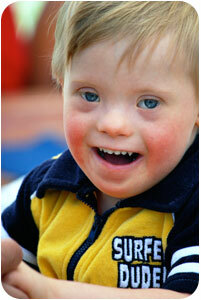 NACD’s services are based on the neurodevelopmental assessment of each individual client. These evaluations are conducted by NACD Developmentalists every three months according to the model developed over the past thirty years by NACD Founder Robert J. Doman, Jr..
During the assessment, a neurodevelopmental profile of the individual is developed. From this very specific profile, a program of activities is developed. If the individual being assessed is a child, NACD then teaches the parents how to implement these activities. Adult clients are taught how to implement the program for themselves. During the periods between reevaluations, several important things occur. The program is formally reviewed via video to ensure it is being properly implemented, and any needed alterations are made based on this review. This will occur within four to six weeks of the initial evaluation. In addition, the family or individual client has a member of our support staff assigned to be available to answer any questions or concerns regarding the program. The support staff has immediate access to the client’s evaluator for additional clarification and assistance for the family. 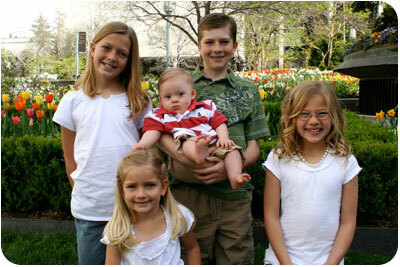 Through phone and email contact, the family receives ongoing assistance while implementing the program. Every NACD program is unique to the individual. There is no "formula program" to match a label. Techniques and strategies are designed to match the individual's neurological inefficiencies. Issues such as behavior management and time constraints receive consideration as well. The NACD team works with the family or individual to continue customizing the program to result in maximum benefit as efficiently as possible. Since the inception of NACD, fifteen million hours of individual programs have been implemented under our direction. These hours, along with tens of thousands of support hours, make up the “NACD experience.” Individuals participating in programs with NACD today benefit greatly from this wealth of experience and expertise. A complete evaluation and individualized program designed by our staff can be acquired by scheduling an appointment at the NACD national office in Ogden, Utah, or at our office in West Chester, Pennsylvania, or at any of our twelve chapters located around the country. NACD also provides video/telephone evaluations to those unable to travel to one of our locations. Review of developmental, medical, educational and social/behavioral history. Functional developmental profile including assessment of receptive and expressive language, hearing and vision, auditory and visual processing skills, fine and gross motor abilities, learning style and cognitive function. Assessment of educational function utilizing standardized individualized achievement tests where indicated. 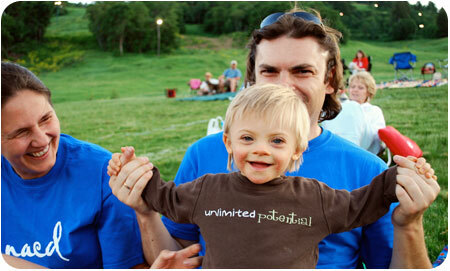 Training of the parents or individuals responsible for the implementation of the individualized program. NACD is an international organization with an eclectic perspective. The reality of this statement is that the organization is working with children from around the globe, with staff traveling regularly to sites throughout the United States. The NACD staff works closely with caring and determined parents who are not satisfied with traditional treatments or ineffective methodologies. The families that typically come to NACD tend to be those who are exploring, researching, and applying anything and everything that may help their children. Through the ongoing efforts of NACD’s research and evaluating staff, and the input of parents and professionals from around the globe, NACD is kept constantly apprised of what is happening throughout the United States and the World in regard to neurodevelopmental diagnosis and treatment. This is the dynamic, ever-increasing body of “NACD Experience” from which every individual “Program” is drawn and from which every NACD client benefits in their ongoing process of recovery and the realization of their full potential.